As the most recent custodian of The Adelaide - a 266-year-old violin purchased by South Australia in 1955 - ASO concertmaster Natsuko Yoshimoto has the state's history at her fingertips. Natsuko Yoshimoto’s relationship with the violin began at age three. Like most decisions made by three-year-olds, it was not really hers. For information on future ASO performances and to purchase tickets, see their website. “My mother was really serious about me doing violin, and she was very passionate, but it also meant that she pushed me a lot,” Natsuko says. Natsuko would eventually move from her native Japan to the UK to study music. It was only then that her relationship with the instrument started to feel like it belonged to her. “I realised, being away from my parents and making the decision myself about, Ok, I have to practice and I have to do this, and it was suddenly my choice – then I realised that, Oh yeah, this is what I really want to do,” she says. 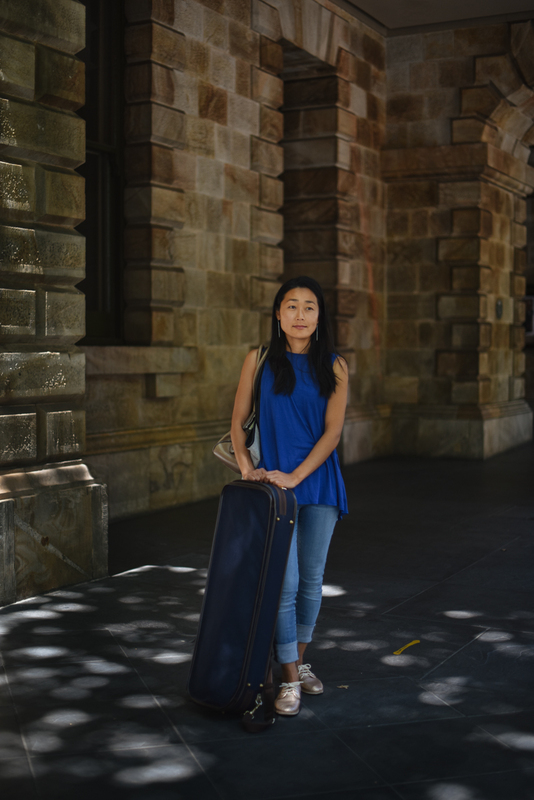 Natsuko eventually came to Adelaide to join the Australian String Quartet and soon heard of The Adelaide – a violin originally purchased by South Australia in 1955 for Carmel Hakendorf, a young violinist who was invited to perform in London, but whose own violin was deemed not suitable for the occasion. The violin was built between 1753-57 by legendary Italian luthier Giovanni Battista Guadagnini and set the state back £1750. Now 266-years-old and valued at $1 million, The Adelaide is held in trust by Ukaria and loaned to a musician of Ukaria’s choosing for a three-year custodianship. “I’ve been counting my days and years,” Natsuko laughs. “I guess, for me, it’s been on the radar for a long time, but I just thought it was one of those instruments I’d never have a chance to play. Despite Natsuko’s respect and admiration for the instrument, there was no guarantee that she and The Adelaide would be good bandmates. “Even with great, amazing instruments, there’s no guarantee that your relationship with the instrument would work, because it depends on so much,” she says. With bow drawn, the fraught moment of a potential missed connection quickly evaporated. “As soon as I started playing, I just played one or two notes – it sounds ridiculous and dramatic, but it’s true – you play the first note and you immediately think ‘Oh, this is something that I can work with,’” Natsuko laughs. Natsuko Yoshimoto with The Adelaide. This image: supplied. Natsuko has had the violin since November, spending as much time as possible getting to know its particularities. “It’s that first stage of relationship where you just want to spend time together all the time and you want to discover and you want to get to know the instrument,” she says. “There’s a lot of adjustment that happens, not just myself adjusting to the instrument, but the instrument adjusts to the player. So depending on how you play and the pressure and the weight you put in – everything changes with how you approach the instrument, and then the instrument starts opening up differently to the player. Natsuko will also appear in CityMag‘s next print edition – issue 24, on the streets in early March. Keep an eye out in the My Adelaide section to hear her experience of Adelaide as a classical musician. The Adelaide’s first public airing in Natsuko’s hands came on Saturday night, 2 February, during the ASO’s season opening gala, and it will continue to add its warmth and richness to the orchestra’s grand palette until it is reassigned to its next custodian in three years’ time. 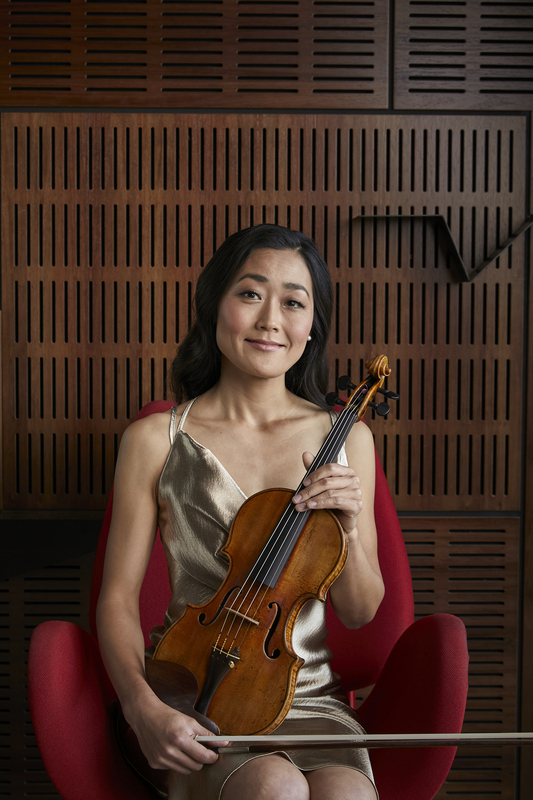 Each performance during Natsuko’s custodial tenure is not only an opportunity to hear the virtuosic concertmaster wield a rare and beautiful instrument, it is also a chance to hear a piece of South Australia’s history sing.